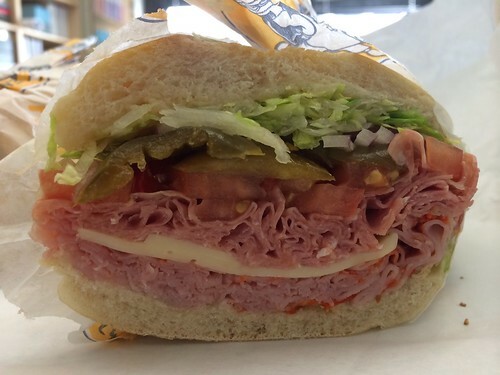 In brief: It's totally inane to crave a cold deli sandwich on a day when temps are below freezing. But I just couldn't persuade my taste buds otherwise. So I ordered in to the office while M. ran home on an errand and then I sat there and shivered like a loon, devouring the deliciousness of Lenny's Italian combo.